A Smart Design always has a positive impact on the growth of the company; it can help in the success of your brand. Any perfect design is not just to guide the audience towards the product in a better way, but also to promote the brand loyalty and values. You should not think twice before investing in graphic designing, it is a decision worth taking. Don’t be under the misconception that Graphic Designing is favorable only for big companies because they have a huge marketing budget. It is not true, even small companies can come up with attractive and humorous graphic designs that can help to draw the attention of their potential customers. Companies need to come up with innovative ideas to add creativity to the design and be able to keep customers engaged, irrelevant whether the company is big or small. The graphic designers should do an assessment and come up with a solution for the awaiting task. 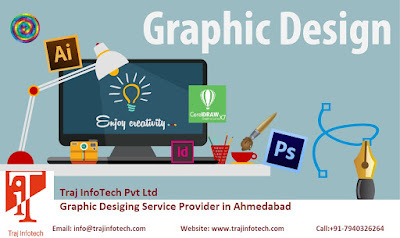 Graphic Designing Service is both art and skill, where the professionals designers need to collaborate and solve problems related to the design. The ability of the designer depends upon his/her understanding of the project, and how they are able to transform the complete project with a smart business solution to achieve success. The progress can be tangible or intangible, both help in achieving success. Intangible is like value addition to the company such as new trend or concept or idea started by the company. A well designed brochure or a billboard or an advertisement can derive the reaction of current and potential customers, if the reaction is positive it gets converted into sales, which increase the substantial value. An attractive and resourceful design can change the brand completely, if visualized and executed meticulously, it can promote the company. A Design is worthy for a company because it can add substantial value to the brand and increase the sales and profits. It is very important for a company to secure a competitive advantage among their competitors to survive or will be forced to pull down the shutters. An attractive graphic design can be noticed quickly and is ever-present. Look here and there and you will find it easy to spot an attractive design. The same goes with online; the design is more prominent in a website. A website has more planned and creative design, some designs are fascinating too. The surrounding, where we live, is a subsidiary of graphic design, it is easy to spot an attractive design. Companies have started realizing the positive impact of graphic designing, a smart graphic design can transform your brand and help the company climb up the ladder of success. For more information and Services about Graphic Designing contact us on Traj InfoTech Pvt Ltd.